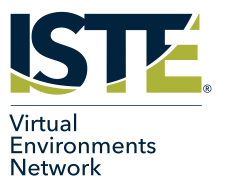 The International Society for Technology in Education's Virtual Environments Network seeks to explore all things related to education in Augmented, Mixed and Virtual Environments. This ISTE PLN (Professional Learning Network) sponsors regular events as well as special events that come up during the year. Follow Andrew's board Virtual Environments on Pinterest. 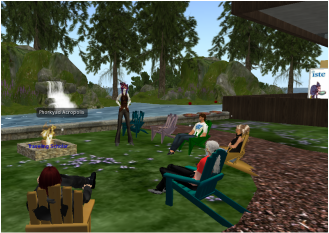 VEN OOH are informal hangouts at the VEN site on Second Life on the 2nd Tuesday of every month from 5:00 SLT (Pacific time) til 6:00 SLT to discuss events and projects, make suggestions, share successes and learn from one another. This is an education-and-nonprofit-only Grid. ﻿ If you already have an OpenSimulator account that is Hypergrid enabled, you can Hypergrid jump to http://grid.avacon.org:8002. When you arrive, friend one of us and we will get you to our location. 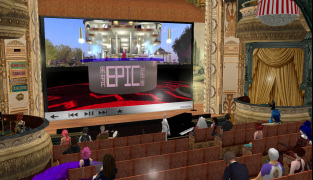 The 4th Tuesday of every month has been our EduMachinima Night but is currently open for ad hoc events and meet-ups in virtual worlds, including Avacon Grid (Opensimulator). For help getting to AvaCon, see https://www.avacon.org/blog/avacon-grid/. You do not need an AvaCon account, but when you arrive for the first time you'll need a teleport from us. ISTE VEN Tours are on hiatus for the present. Fidget (fidgetswidgets Resident) very generously and ably coordinated these for the year following the untimely death of VEN Tours founder Cyrus Hush. Cyrus also founded Expedition Central, a collection of educational sims in Second Life. Expedition Central lives on, hosted by the Chilbo community in Second Life. 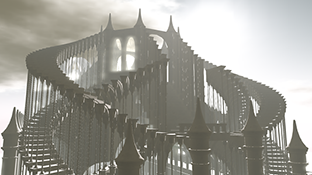 Many of the landmarks are also available in the Teacher Resource Center on VSTE Island in Second Life. Many of our members have worked and explored in Minecraft. Our wonderful friends at VSTE Island have a Minecraft Monday once a month. The ISTE VEN Writers Group occasionally meets to explore an immersive environment in Second Life, after which members are invited to create a work based on the experience, whether it be prose, poetry, essay, machinima, etc. to share with the group the following month. You can find landmarks to some of the places we've been at the ISTE VEN Headquarters in Second Life at http://maps.secondlife.com/secondlife/EduIsland%209/24/105/22. Check out our next exploration!